I Love. Love. 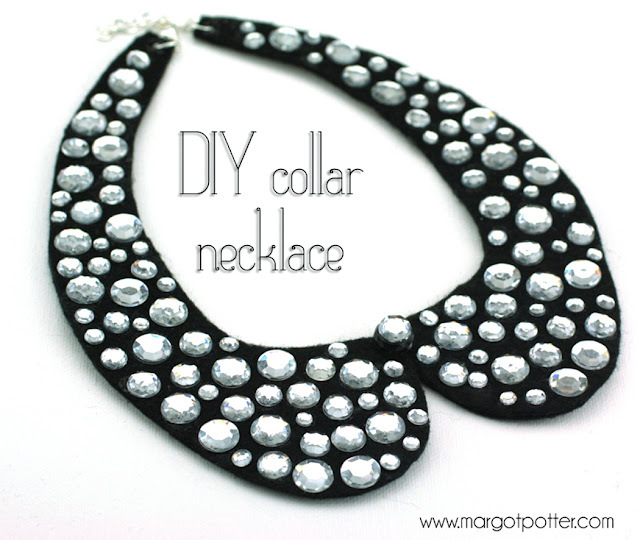 Love collar necklaces! I've been brainstorming how to make my own for a while now and I finally dove in and got it done. It turned out even better than I had hoped, even Avalon was smitten! When my teen is cheering on a craft project, I know I'm in the sweet spot! Woot! This would look stunning on canvas, denim, linen...don't limit yourself to felt or to a black background. Change it up to suit your style, darling. 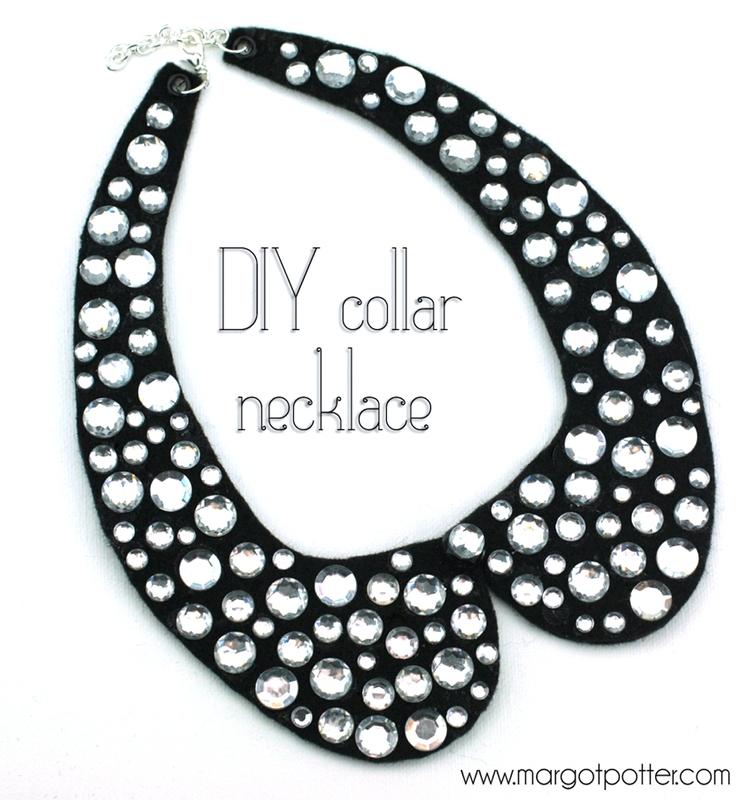 Hand draw a Peter Pan style collar shape to fit your neck. It needs to meet in the center and wrap around to back in a crescent shape as in picture. Make four copies of template. 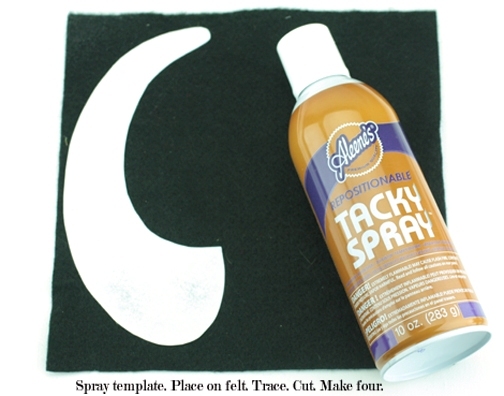 Spray back with adhesive, position, cut out. You'll need two facing left and two facing right! Remove templates carefully. 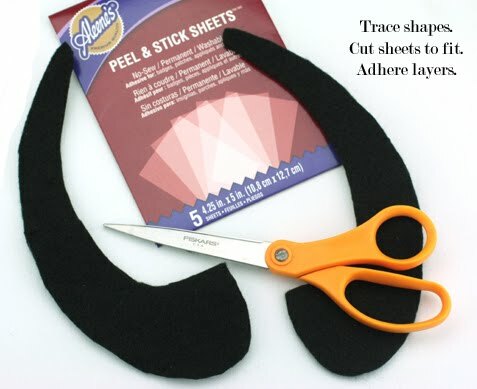 Use Fabric Fusion sheets to adhere two layers together for both sides of necklace. I traced and cut, using several sheets. Peel sheet backs and attach. 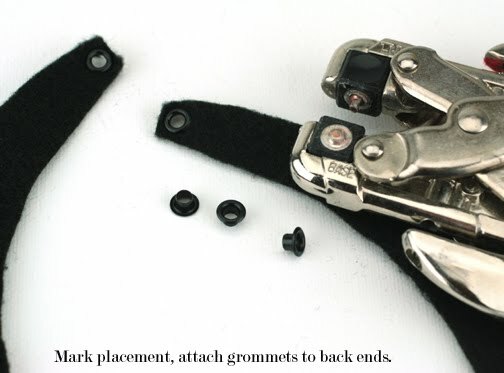 Use a grommet setter to set grommets on both sides of back of necklace. Sew button attaching two front portions together. 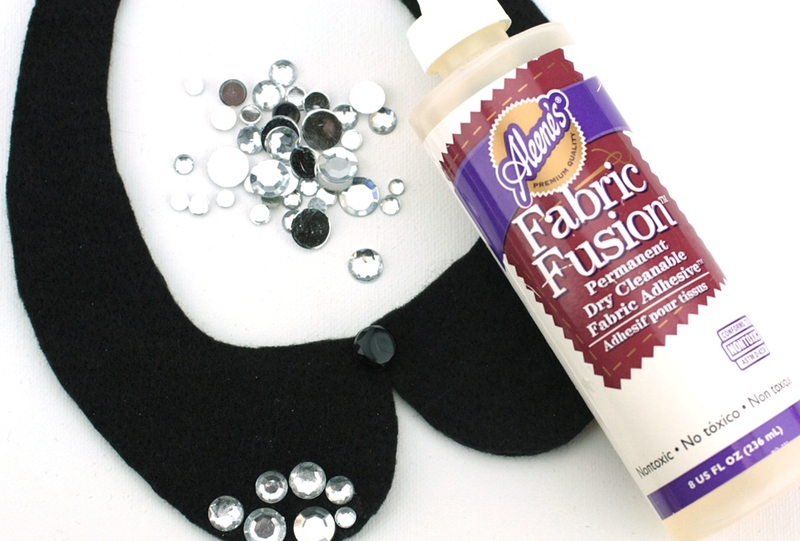 Use Fabric Fusion adhesive to attach acrylic rhinestones, there is no pattern here, just scatter them! Glue gem to button center. Attach jump rings, chain and clasp to back using chain nose pliers. Could you show a pic of how that button attaches the two pieces? Is the felt overlapped?